There are two products in front of you. Five of your friends advocate for one, and none advocate for the other. Which product are you likely to choose? Regardless of how much media and advertisements we consume every day, word-of-mouth is still the most powerful resource for attracting new customers. According to a report by Nielsen, 83 percent of customers said they trusted a recommendation from a friend or family member more than traditional advertising. Here’s the kicker. In our scenario above, the product that wasn’t recommended to you doesn’t necessarily mean it’s a “bad” product. It just hasn’t been able to acquire customer advocates, and unfortunately, that puts it at a competitive disadvantage. But what if you could acquire insight about your product in less than a minute from a single survey? What if you could identify how many of your current users are likely to be future advocates, and how many are experiencing issues right now? This is where net promoter score, or NPS, comes in. 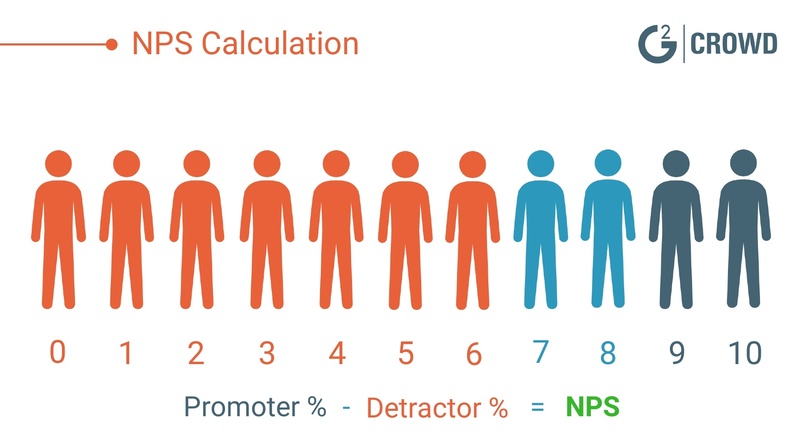 NPS is a customer satisfaction benchmark that can be obtained through a one-question survey. The purpose of NPS is to gauge customer loyalty to a brand, and how likely they are to recommend your product to a peer. A follow-up question, such as “What do you enjoy most about our product?” can be effective, but isn’t required for calculating your net promoter score. Every customer on your email list should receive the NPS survey. You can either blast your survey out all-at-once or spread it out over the course of a few months. Task automater Zapier recommends sending your NPS survey to 1/90th of your users every day for 90 days. So if you have 1,000 customers on your email list, roughly 11 surveys would be sent daily. Helpful tip: It’s better to target users depending on where they’re at in the product lifecycle. For example, a good time to send someone an NPS survey would be the day after they finished a 30-day trial using your product. A bad time would be directly after a customer started using your product. Let them settle in. After all current users have received the NPS survey and you’ve gotten an adequate amount of responses (aim for at least 30 percent), it’s now time to calculate your NPS. 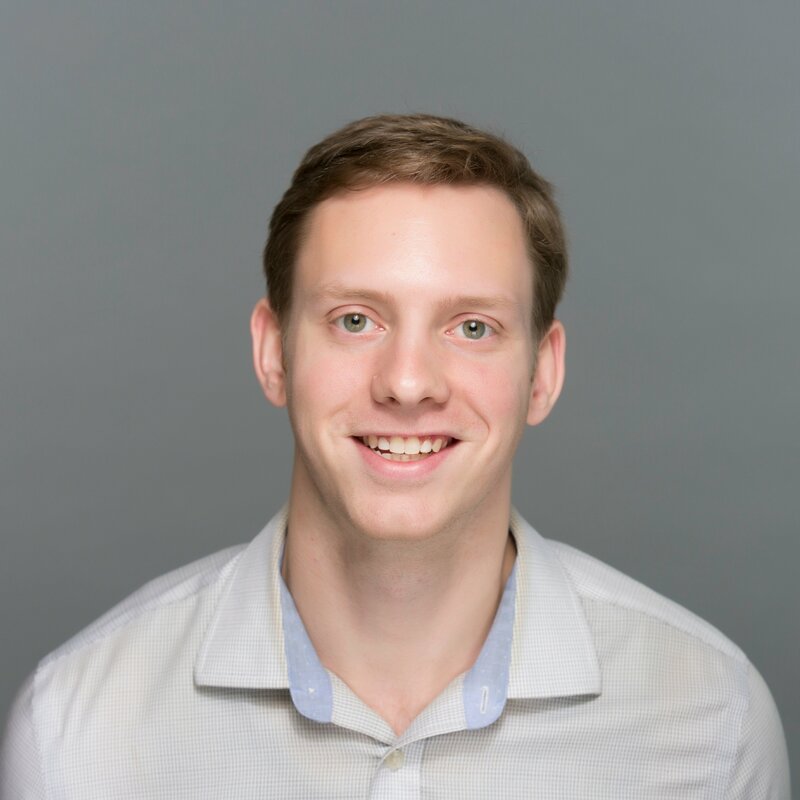 Current users are asked how likely they’d refer your product to a peer. A user will grade their likeliness on a scale from 0-to-10. Respondents are broken into three categories: Grades 0-6 are called detractors, grades 7-8 are called passives, and grades 9-10 are called promoters. Passive respondents will be disregarded since they are indifferent about your product. Instead, the percentage of detractors will be subtracted from the percentage of promoters. For example, you’ve received a total of 100 responses. 60 percent of those are promoters and 20 percent are detractors. 60 - 20 = an NPS of 40. Score possibilities range as low as -100 and as high as 100. As you may have guessed, detractors aren’t likely to refer your product to a peer – and those on the lower range could very well switch to a competing business. Promoters, however, are very likely to refer your product to a peer. These are the ones who you should seek out as customer advocates. QuestionPro, a survey analytics company, states that while it’s not always easy to determine a strong NPS, there are some global standards. Finally, an NPS at-or-above 70 is considered “world class.” Very few businesses achieve an NPS of this caliber. Essentially, this means nearly every customer would advocate for that product. 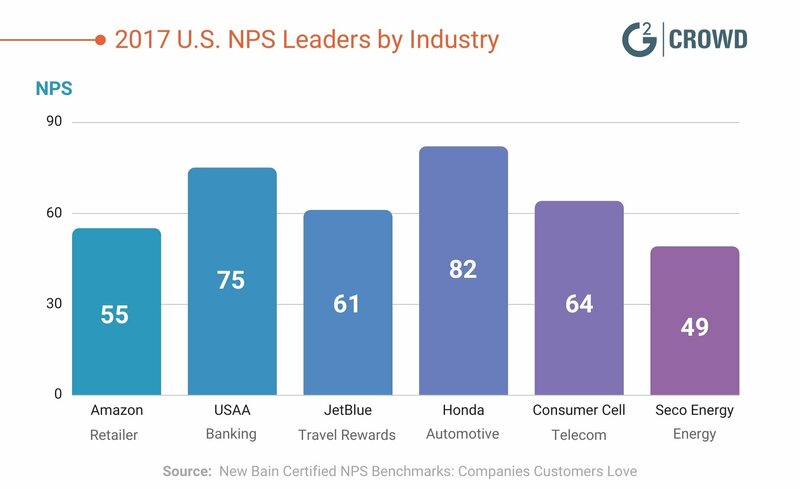 Bain & Company, one of the pioneers of the NPS metric, breaks down NPS leaders by industry in its latest report. At the end of the day, your customers will determine how high or low your NPS will be. However, there are strategic ways to increase response rates, nurture customer advocates, and invite feedback. Below are some best practices on how to do so. Data from Return Path found that email subject lines with 61-70 characters had the highest open-rate. Anything beyond this sees a drastic fall-off, which is why it’s imperative to keep the email subject line concise yet informative when reaching out about your NPS survey. Here’s an actionable way to craft your email subject line. Specify how many questions (one or two) are on the survey, or let the customer know that it’ll take less than 60 seconds to answer. 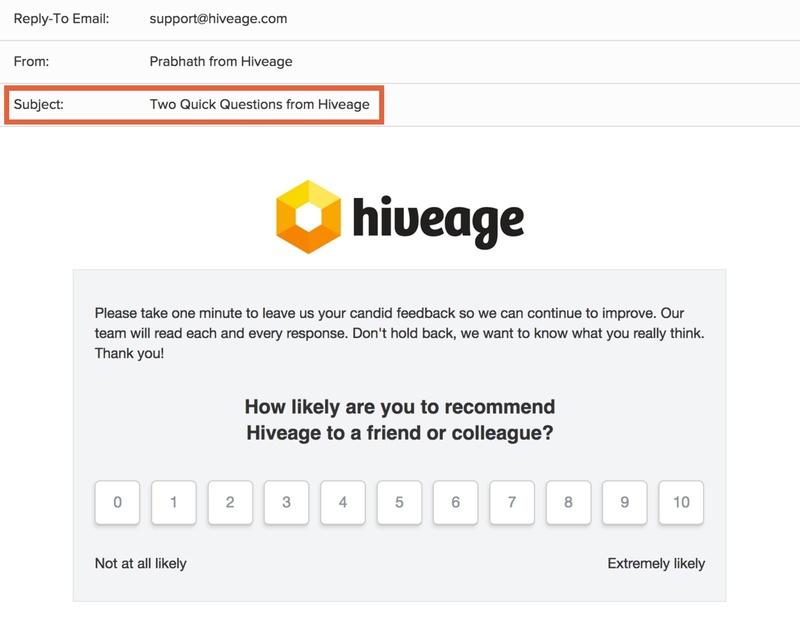 Follow up in about 3-to-7 days if you haven’t received a response regarding your NPS survey. Promoter.io, a customer intelligence and engagement platform, states that a single reminder could boost response rates by up to 15 percent. The more users that participate in your NPS survey, the more robust results. 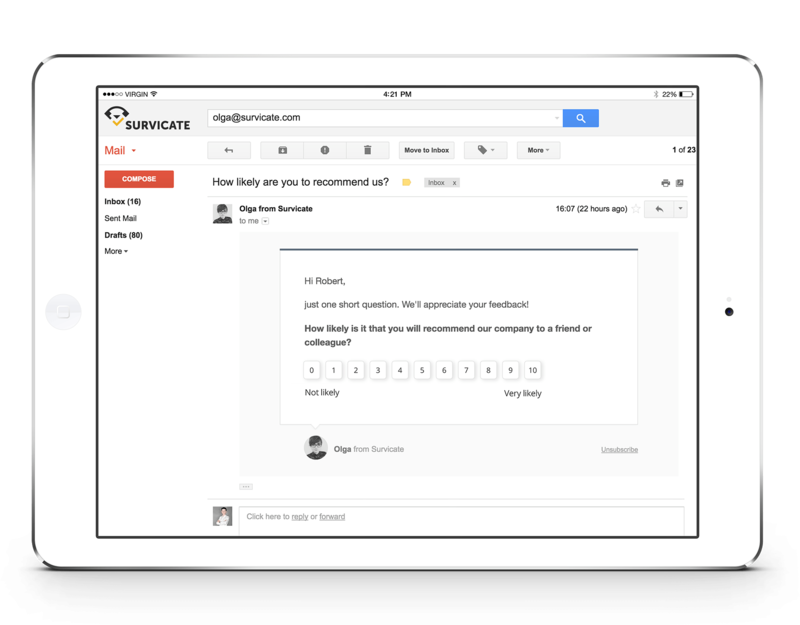 Above is an example of a follow-up email including an NPS survey from the customer survey software Survicate. Uplift your promoters with a deal on their existing product, a free demo, early-access to a new product feature, some company “swag,” or more. Nurturing these relationships is likely to turn promoters into customer advocates. You can also prompt promoters to leave a customer review of your product or service. With their permission, you can leverage these positive reviews in marketing materials later on – such as a case study. Engage in some basic customer service! See if there’s any way to resolve a detractor’s issues with your product – though, don’t be discouraged if these efforts go nowhere. While you’d like to make everyone happy, that’s just not a realistic goal. If it’s clear a detractor can’t be reeled back in, ask for as much feedback as possible with a follow-up question and thank them for participating in the survey. Their insight is just as valuable to your business as the passives and promoters. There is spending power behind customer loyalty. A reported 66 percent of U.S. consumers stated they were likely to spend more on brands they were loyal to compared to other brands. Pursuing new customers, while necessary, can be time-consuming and unpredictable. Nurturing your promoters and building lasting relationships will undoubtedly lead to higher customer retention. Bain & Company recently found that even a 5 percent increase in customer retention can increase profits between 25 and 95 percent! Loyal customers can quickly become customer advocates who refer your product to a peer. Businesses with referrals have 70 percent higher conversion rates and close 69 percent faster on sales, according to Influitive research. Seriously, don’t underestimate customer loyalty. In 2003, the Harvard Business Review labeled the net promoter score as “one number you need to grow.” What started out as an email survey blasted out to a few thousand customers would eventually grow into one of the most widely-known benchmarks for determining customer loyalty and satisfaction. Nearly two decades later, and word-of-mouth is still incredibly powerful. Many of us rely on our friends and families for product and brand recommendations all the time. If a customer is referred, their lifetime value to a business is actually 16 percent higher – with a greater return-on-investment (ROI) – than others. This is why NPS is still an important metric today. It not only puts customer advocates to the forefront, but also helps businesses identify pain points in their product or service. Best of all, customers are more willing to respond to an NPS inquiry than most other surveys. To put your NPS strategy into action and begin growing this valuable number, check out the top survey software on G2 Crowd.